Professor Loretta Lees is an urban geographer who is internationally known for her research on gentrification/urban regeneration, global urbanism, urban policy, urban public space, architecture and urban social theory. Loretta has lived in Islington, London, for over 20 years. She is currently professor of human geography at the University of Leicester and was previously professor of human geography at King’s College London. Before that she researched at the University of British Columbia, Canada. Since 2009 she has co-organised The Urban Salon: A London forum for architecture, cities and international urbanism and since 2016, the Leicester Urban Observatory. She has been identified as the 17th most referenced author in urban geography worldwide (Urban Studies, 2017) and the only woman in the top 20. In 2014 she was invited to give a TEDxBrixton talk on gentrification. Loretta recently featured in BBC London Inside Out on The death of the council home? She is a scholar-activist and has provided expert evidence to the GLA, at three public inquiries and to the Haringey Scrutiny Panel. 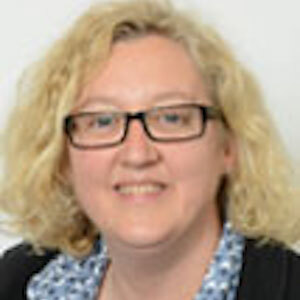 She is currently the PI on a 3 year ESRC funded project on Gentrification, Displacement, and the Impacts of Council Estate Renewal in C21st London.